This holiday season, we’ll be running a series of weekly features called “A few of our favorite things,” where we round up some gift suggestions based on the gear that has passed through our offices either for review purposes or through personal purchases. We’ll tell you what we think is the best gear out there, for a variety of product categories and budgets. For our inaugural edition of “A few of our favorite things,” we’ll be looking at an essential product for iPhone(s aapl), iPad and Mac owners alike: headphones. Mostly, we’ll be talking about stereo headsets that also feature mics and remote controls which work with late-model Macs and iOS devices. 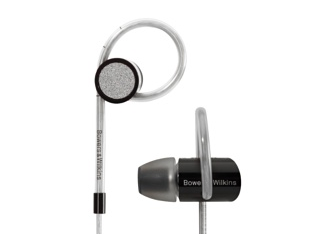 Best all-around stereo headset: Bowers & Wilkins C5. 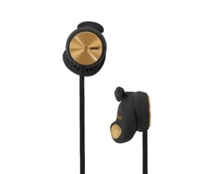 These in-ear beauties are great at sound isolation, audio fidelity and comfort, and they look great, too. Durable cord construction will mean you shouldn’t have to worry too much if you get snagged on a fence or other outcropping, and the unique looped excess cable design at the earbuds keeps them firmly in place, unlike a lot of other in-ears we’ve tested. The only real downside is their price: at $179.99, they’re not cheap. Best stereo headset under $100: Marshall Minor FX Earphones. These are a fraction of the price of the C5 at $64.95, and still manage to exude a lot of style. They sound good, too, but the EarClick tech isn’t quite as good as the C5 in terms of making sure they stay put inside your ear canal. Plus, they’re gold, and frankly, we’re a little more partial to silver. Best over-ear stereo headset: SteelSeries Siberia Neckband Headset. 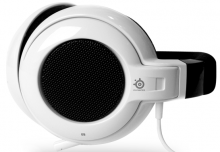 These are also relatively inexpensive, retailing for $79.99 direct from the SteelSeries website. SteelSeries normally makes headsets for gamers, and these live up to that tradition, providing strong bass response and immersive, rich sound that you may find surprising for the price. That, and the unique design of the Siberia which moves the band to behind your neck instead of on top of your head, preventing bad hair days and working perfectly with winter hats, makes these our favorite this year. 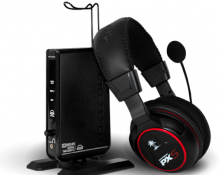 Best gaming headphones: Turtle Beach Ear Force PX5. If you’re gaming on a Mac, you’re probably in a relatively small minority, but the Turtle Beach Ear Force PX 5 is a great pair of headphones for you. They accept optical in (which all Macs have), do true Dolby (s dlb) 7.1 surround sound, and are wireless. All those features will cost you, though, as these ring in at $249.95. Budget gamers should look at the SteelSeries Siberia. Best stereo headset for workouts: Sennheiser Adidas PMX 680i. Sennheiser actually makes multiple varieties of activewear headsets for the iPhone and iPod touch with integrated remotes, but the PMX 680i ($69.95) is the best in our opinion. They won’t break down no matter how much you sweat, nor will moisture interfere with audio. 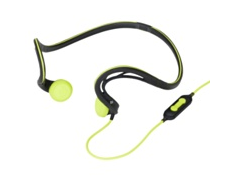 The neckband keeps them firmly in place without being uncomfortable while jogging or even doing jumping jacks, and the neon yellow accents make them very night-visible. That’s our list, but feel free to argue our picks or chime in with your own suggestions in the comments. No stereo bluetooth as a recommendation? Incomplete IMHO. Missing the best Bluetooth headphone (with mike) for on the mac. I use my macbook very often in public places. And a good Bluetooth headset would be nice. Any suggestions? 3) Jawbone Era () – NoiseAssasin 3.0 rocks, it tells me the number calling in or name of the person (provided I have him/her stored in my iPhone) so I do not have to look at the display to come with proper greeting and as one of the few one-ear BT headsets it has A2DP profile so I can listen to my audiobooks/podcasts (I’m not too much into music so I don’t case it’s mono)!!! I know there’s a way to make A2DP profile work with any BT headset, but that requires jailbroken iPhone (I use it without jailbreak). Hope your readers will find this useful!!! 2) Plantronics Voyager Pro – mono, but it’s multipoint so I have both my iPhone and Cisco’s IP phone on my desktop connected to it at the same time!!! 3) Jawbone Era – again mono, but Noise Assasin 3.0 rocks, there’s a voice feedback of the number or name (if stored on my iPhone) calling in so I do not have to look at the display to come with proper greeting! And – it has A2DP profile by default so I can listen to my entire audiobook library on my iPhone though it (I’m more into audiobooks and podcasts so I do not care much it’s mono…). I am very much impressed of what you have shared. this post really very nice and all your working and designing really very beautiful excellent working.